Did you know you can get FREE help with the ACT, SAT, and PSAT? It's all available on the Learning Express Library available through the Tennessee Electronic Library. Features include subject tutorials, practice tests, word games, flash cards, and more. Just chick on the above link and register for FREE. It even has help for college admission essays. Don't wait until the last minute. Start preparing today. A few minutes of studying every day will help you get higher scores. citation guide. All of this is free and waiting for you! We are testing out e-books and audiobooks you can access from anywhere with your ereader, tablet, phone, or computer. We've started with a few titles to assess interest. 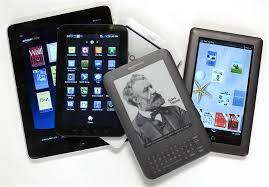 If you would like to "check out" ebooks and audiobooks please see library staff for a username and password. Get the Follett Enlight K-12 App for you Apple or Android Device! find a new royal assassin. Indianapolis to be closer to his mother in jail. This book is the first in the Bailey Flanigan Series. may also still be alive. Want your pick featured here? Tell Mrs. Lamb your current favorite read.